Sport can play a particularly positive, enabling role in changing the game for children, especially in socially challenging environments. Part of creating systemic, positive societal change is promulgating the strong values of integrity that children naturally display, by enabling them to further develop strong qualities of character and leadership skills at a young age. M INC. › change the game bases its work on a giving-back philosophy and offers in-kind support and financial support to remarkable high-potential projects and organizations, which evolve around the mix of sport, children, values and positive societal change. For instance, such projects and organizations engage disadvanged children in further developing qualities of character, ethical values and leadership skills with sport as the enabling tool. 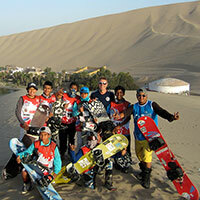 Sandboarding Peru is the national sport governing body for sandboarding in Peru. For further information, see Sandboarding Peru’s website, which is available in Spanish. Alternatively, see International Sandboarding and SandSki Association’s website, which is also available in Spanish. M INC. supports Sandboarding Peru in integrating behavioral principles into its coaching framework for disadvantaged children and youth doing sandboarding in Huacachina, Peru. Through a series of workshops with sandboarders as well as their parents and instructors, a set of nine behavioral principles has been developed. The principles define winning as a mix of outstanding performance and outstanding behavior. For more information about the support, see separate news item. Parkour Perú is the national sport governing body for parkour in Peru. For further information, see Parkour Perú’s website, which is available in Spanish. Alternatively, see Parkour Perú’s Facebook page, which is also available in Spanish. 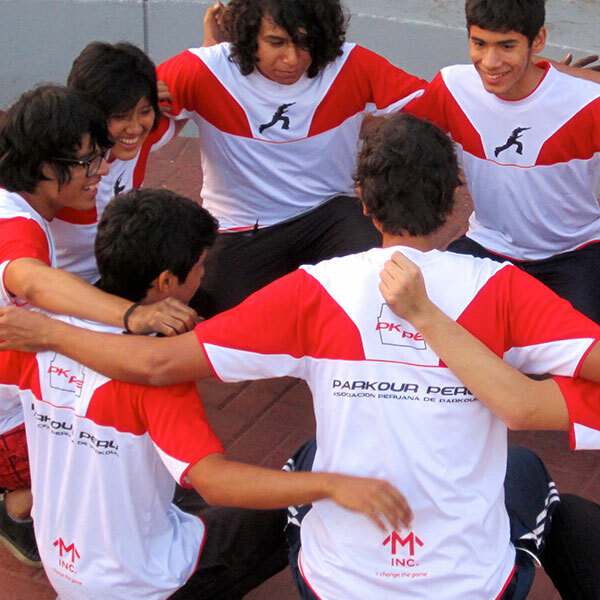 M INC. supports Parkour Perú in establishing parkour as a recognized sport in Peru. So far, the support has included participation in meetings with mayors and municipalities to advocate for designated parks to practice parkour in - and eventually a professionally designed parkour park. It has also included sponsoring high-quality t-shirts, which have been given to all active members of Parkour Perú. The t-shirts form part of a strategy to establish a common visual identity. They also bring the additional benefits of attracting more attention to the sport, while minimizing any potential discomfort of other users of public parks, where parkour is currently being practiced. Furthermore, it has included bringing the Peruvian and Danish parkour communities together. 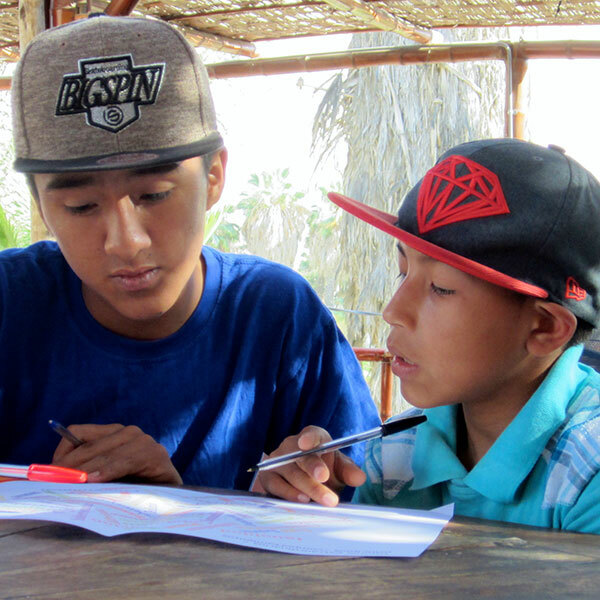 For more information about the support, see separate news item about support to Parkour Perú and separate news item about support to bringing Peruvian and Danish parkour communities together. Escuela de Fútbol Femenino Colombia-Perú (School for Women Football Colombia-Peru) engages disadvantaged girls in playing football in Lima, Peru. The school currently engages approx. 110 girls in the Municipality of La Victoria, one of the poorest neighborhoods in Lima, along with approx. 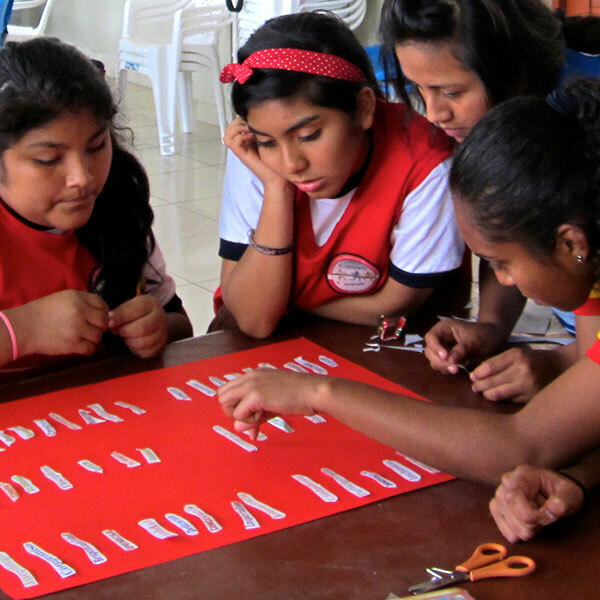 220 girls in other districts of Lima. It is in the process of recruiting even more girls and integrating boys into its program as well. For further information, see the Facebook page of Escuela de Fútbol Femenino Colombia-Perú, which is available in Spanish. 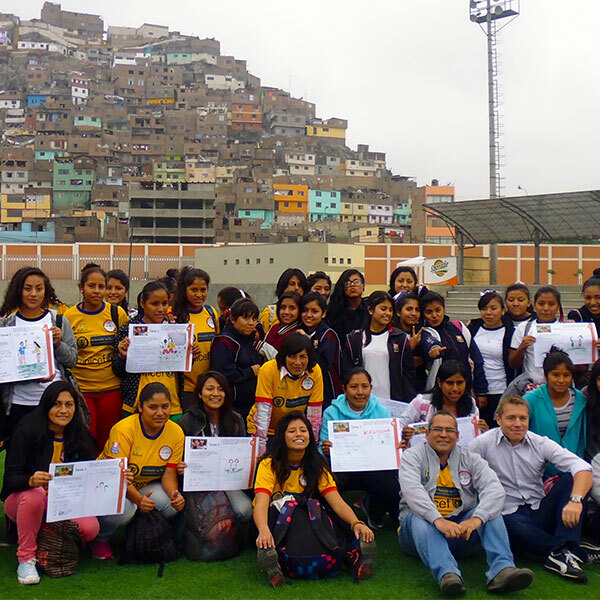 M INC. supports Escuela de Fútbol Femenino Colombia-Perú through presence and motivational speeches at key events and by facilitating workshops to help the football girls further develop a common understanding of values in sport and of fair play in particular. For further information about the workshops, see separate news item. 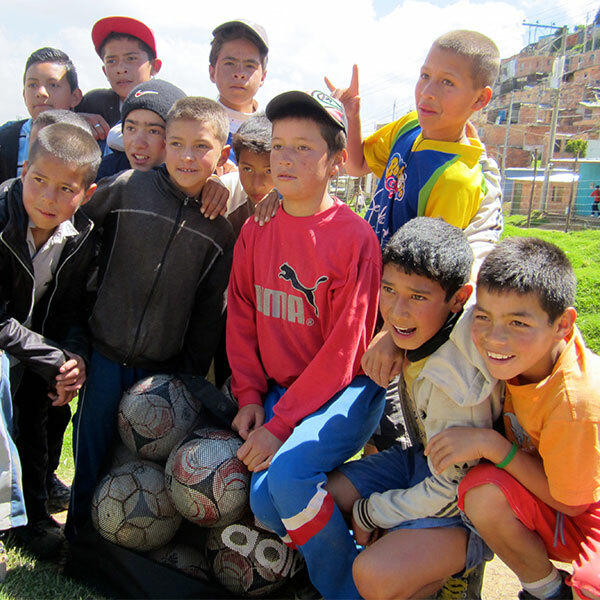 Colombianitos is a foundation in Colombia, which engages more than 4,000 disadvantaged children in doing sports such as football, badminton, table tennis and dance as a vehicle for generating positive social change. Its approach to educational sport is based on proven methods of thought leading organizations internationally such as ‘Right to Play’ and Streetfootballworld. For further information, see Colombianitos’ website, which is available in both Spanish and English. Alternatively, see Colombianitos’ Facebook page, which is available in Spanish. M INC. supports Colombianitos by promoting its leadership model widely, for instance in a recent contribution for iSportconnect’s expert column on sport governance. 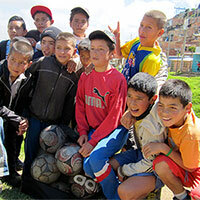 M INC. also supports Colombianitos by sponsoring a child engaged in the organization. 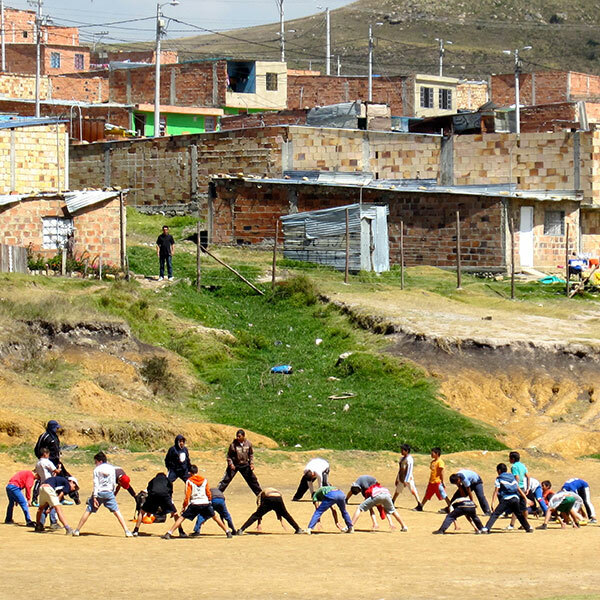 Through such a sponsorship, Colombianitos guarantees that the child is attending school and his/her participation in its ‘Goals for a Better Life’ Program. This Program includes football training, sports and music education, recreation and cultural activities as well as social workshops on drug prevention, healthy co-existence, conflict resolution and family and society, among other activities. Should you wish to sponsor a child engaged in Colombianitos too, you can find further information about how to do so on colombianitos.org/padrino. 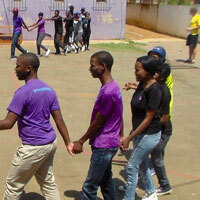 loveLife is a South African based NGO working to improve the lives of young people. The organization addresses social challenges that place young people at risk; including unemployment, gender-based violence, substance and alcohol abuse, teenage pregnancy and HIV/AIDS. For further information, see loveLife’s website, which is available in English. M INC. supports loveLife by facilitating workshops in support of disadvantaged young adults at Orange Farm township near Johannesburg developing their future life visions with sport as the enabling tool. For further information about the workshops, see separate news item. M INC. strives to donate at least 10 per cent of annual revenues to remarkable, high-potential projects that evolve around the mix of sport, children, values and positive societal change. Click on any photo for full-screen view.